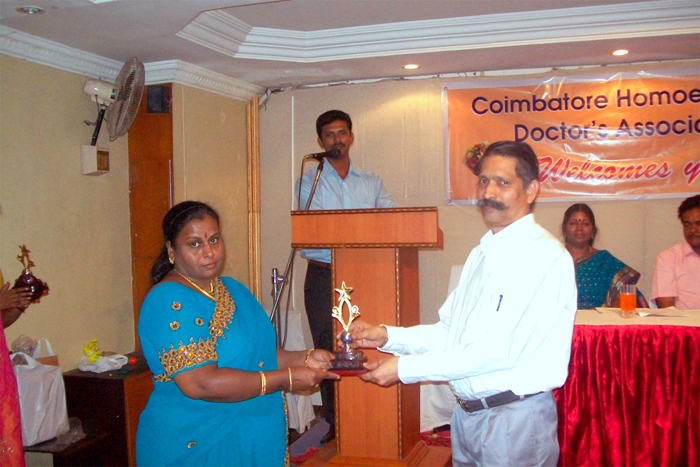 COIMBATORE.MARCH.28: Coimbatore Homoeopathic Doctor’s Association hosted a CME at hotel blue star to commemorate the birth anniversary celebration of Dr. Hahnemann. Dr.Parthiban, Secretary of the organization welcomed the gathering. Dr.T.Meenakumar, president presided over the function. Dr.K.King Narcius, Advisor, Government of Tamil Nadu was the chief guest. Senior Homoeopath, Dr.A. Thamaraiselvan, Dr.Latha, Dr.Balaramalingam, Dr G.Suresh paid their floral tributes to Dr.Hahnemann’s portrait.